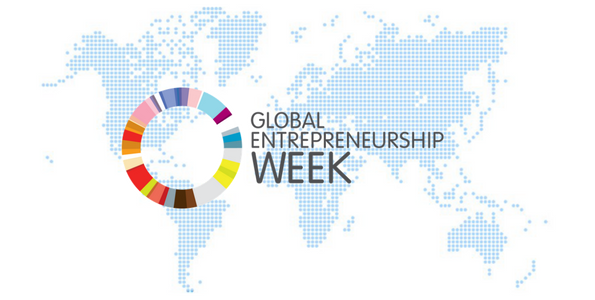 For those of you who didn’t know - it’s Global Entrepreneurship Week! #GEW2016 is a celebration of the innovators and job creators who launch startups that bring ideas to life, drive economic growth and expand human welfare. It is widely supported by political leaders for it’s power to fuel the entrepreneurial ecosystem. Not to mention, that the 2017 edition of the Global Entrepreneurship Index report, which came out to coincide with GEW 2016, found that improving the conditions that support entrepreneurship by 10 percent could add $22 trillion to the global GDP. $22 trillion! That’s definitely something worth celebrating. One of the major goals of this week is to raise awareness and promote access to funding - something we at Next Chapter know all about. With women being a major benefactor of the crowdfunding model for their ability to relate their story and connect emotionally with backers, we are seeing major increases in the number of female entrepreneurs finding success in their startups. Crowdfunding not only provides an alternative to traditional sources of revenue but also has the ability to test the product with consumers. Entrepreneurship and participation of women in the workforce are powerful accelerators for sustainable economic growth and here at Next Chapter we want to increase women’s access to funding and empower them to make a profit, thrive and inspire other women. In summary, entrepreneurship isn’t going any where. In fact, it is the way forward. Entrepreneurs add value and growth to the economy by creating jobs, improving quality of life and driving change.